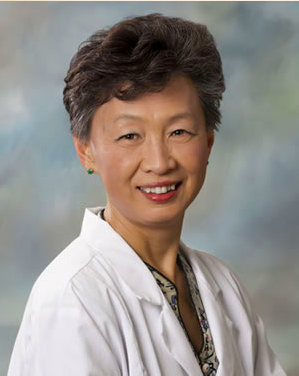 Dr. Jin Li Dong, of Alternative Health Clinic/Natural Healing Center, focuses on a patient’s health through means of nutrition, mind, body, and spirit. Through these means, she is also successful in helping those suffering grief. In times of grief (dealing with loss), we find much support from those who are closest to us, but in some cases, more support may well be needed. Dr. Dong’s compassion towards her patients offers them soothing comfort when they need it most. Within her practice, she tends to take her knowledge and passion the extra mile. Combined with acupuncture and alternative therapies, Dr. Dong uses a technique called Applied Kinesiology (AK), where she is able to quickly and accurately assess patients to determine their health needs. Applied Kinesiology allows her to connect the dots on complex patients, such as those suffering grief. By combining these techniques with over 25 years of experience, positive progress is made to eventually resolve a patient’s condition. According to Dr. Dong, grief can exacerbate underlying problems in the body’s organs, thus causing imbalance. This imbalance can be corrected via the meridians of the body. Meridians are pathways to the organs, and when there is an imbalance of a specific organ, there is an equal imbalance of the corresponding meridian. After consulting with a patient in grief, Dr. Dong goes through a series of (AK) muscle tests in which the patient is tested for strength. Upon locating weaknesses or imbalances, she then taps on the corresponding acupuncture points in the meridians of the face, stimulating specific points to restore the patient’s strength and release weakness. There could be literally 100s of taps while stimulating these points. She will repeat cycles of taps and strength testing, over and over, until desired results are obtained. Dr. Dong also recommends seeing a counselor to help balance the mind because a healthy mind is essential for a healthy body.